Blip.fm is internet radio made social. It's easy to search for, play, and discover free music recommended by real people. 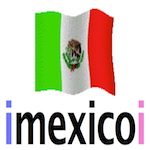 Join today to create your own free station and start listening to @imexicoi. Until the end of the world (U2). Subtítulos en español. Motörhead – "Beer Drinkers And Hell Raisers"
Lulu Santos – Todo Universo.